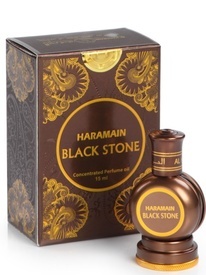 Here comes an other hot selling Attar "Blackstone" oil by Al Haramain in 15ml packing bottle. Long lasting which will please perfume lovers. It is named after the famous Black Stone ('Hajar al Aswad') situated in Mecca. 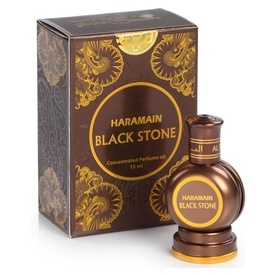 Blackstone of Al Haramain is an oriental, spicy fragrance with wood, bitter herbs and floral notes.